While the average mesothelioma trial award is significantly higher than the average mesothelioma settlement, most lawsuits are settled out of court. A lawyer trained in asbestos litigation can help you decide the best option. How Long Does It Take to Get a Mesothelioma Settlement? The time it takes to get a mesothelioma settlement varies for each case. Experienced mesothelioma attorneys work hard to expedite claims in order to obtain compensation for patients as quickly as possible. Some patients may receive settlement checks within a few months, while others may wait more than a year from the time their claim was filed. What Is the Average Mesothelioma Settlement Amount? 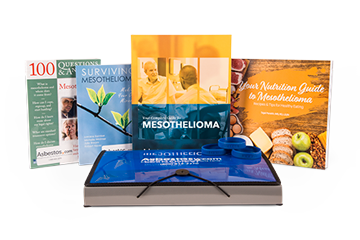 According to a 2016 Mealey’s Litigation Report, the average mesothelioma trial award is estimated at $2.4 million. The average mesothelioma settlement is between $1 million and $1.4 million and typically paid by multiple defendants. However, every case is unique. Are Mesothelioma Settlements Taxable Income? Whether mesothelioma settlement money is taxable depends on the types of damages awarded. In general, compensation for lost wages and emotional distress are taxable. Meanwhile, compensation to cover medical expenses are not taxable. An experienced mesothelioma lawyer can explain how your settlement may be taxed. The Tax Cuts and Jobs Act of 2017 expanded the amount of settlement money that plaintiffs must pay taxes on. Who Is Awarded in a Wrongful Death Settlement? Compensation awarded in a wrongful death settlement may go to the estate or surviving family members, depending upon who filed the claim. Distribution of settlements to surviving family members can vary depending upon unique circumstances in each case. The decision to settle or go after a verdict is best made with the advice of an experienced mesothelioma attorney. These lawyers understand the nature of malignant mesothelioma and other asbestos-related diseases. In 2011, a circuit court judge in Missouri approved a $10 million settlement to Nancy Lopez. The Jackson County courthouse employee was exposed to asbestos during a renovation project done by U.S. Engineering Company. A few years after she died of mesothelioma, two former co-workers filed a class-action lawsuit against Jackson County and the engineering company. The case resulted in an $80 million settlement. The mass asbestos exposure from the vermiculite mines in Libby resulted in two major payouts. In 2011, a district court judge approved a $43 million settlement covering more than 1,300 miners and their families. A second class-action lawsuit awarded a $25 million settlement to more than 1,000 people in January 2017. Future settlements are likely as victims continue to surface. In 2005, U.S. Steel was ordered to pay $250 million to the wife of a former steel worker who died of mesothelioma. U.S. Steel reached a post-verdict settlement for an undisclosed amount believed to be substantially less than the compensatory award. This is a rare example of a case settling after a trial. A boilermaker in New York received a $3.7 million settlement after developing lung cancer from asbestos exposure. In 2006, Alfred D’Ulisse, a retired police officer and former brake specialist, reached a $25 million settlement with Daimler-Chrysler. The company exposed him and many others to asbestos in brakes. Our team can help you and your family get the compensation you deserve. If the defendant has settled or lost cases in the past, they may want to settle your claim quickly without going through the case process again. But settling early may not provide proper compensation for your expenses or asbestos exposure damages. Defendants usually initially offer low settlement amounts. Your lawyer can advise you about your options and whether you should hold out for a better proposal. The defendant’s lawyers may make settlement offers up to the start of, or even during, the trial. In lawsuits where multiple defendants are named, it’s common for some to settle before heading to trial, avoiding additional expenses, negative publicity and a prolonged proceeding. A Virginia jury awarded former naval shipyard worker George Parker $6.5 million in March 2016. The jury determined John Crane Inc. was responsible for exposing Parker to asbestos, which led to his development of mesothelioma. Parker worked with gasket materials containing asbestos while working at the Norfolk Naval Shipyard. In 2016, a Los Angeles Superior Court jury awarded Philip Depoian a record-setting $18 million verdict in a mesothelioma-talcum powder lawsuit. Depoian was diagnosed with mesothelioma in May 2015. He claimed he was exposed to asbestos-tainted talcum powder products used at the barber shop where his father worked. In what is believed to be one of the largest verdicts of its kind in U.S. history, a jury awarded $190 million to five Weitz & Luxenberg clients in July 2013. The jury found boiler companies Burnham and Cleaver-Brooks negligent and reckless, which caused the plaintiffs to develop mesothelioma. W&L made history again in 2017, when a jury awarded Marlena and Ed Robaey $75 million in the largest single asbestos verdict in New York. Thomas Brown Jr. was awarded $322 million for future medical expenses, pain and suffering and punitive damages after a jury determined Union Carbide Corporation and Chevron Phillips Chemical were liable for his asbestosis. Brown had worked in the oil fields of Mississippi. The verdict, famous for being the largest asbestos verdict in U.S. history, was overturned on appeal in 2012. Whittington v. U.S. Steel, No. 02-L1113 (Madison Co. Cir. Ct., Ill., March 28, 2003). Hutcheson v. Shell Wood River Refining Co., No. 99L450 (Madison Co. Cir. Ct., Ill., May 19, 2000). Todak v. Foster Wheeler, No. 320621 (San Francisco Super. Ct., March 27, 2002).